Can you imagine piloting without arms?? Can you imagine super and award-winning martial arts without arms? ?Yes, the answer would be obviously no for normal people. But let me tell you all that this is proven wrong by only and only lady 'Jessica Cox'. Not only first armless licensed Pilot but also First armless martial Expert, she earned both the title and engrossed her name into Guinness World record- The Only Pilot To Fly With Their Feet. Let's start to know here inspiring journey. Jessica stated " Handicaps are mindsets. Whatever it is that stands in the ways of achieving something, that's when it's a handicap. I prefer to see them as obstacles or challenges. This is how I've been in my whole life. I don't know any different. I just live my life through my feet." Truly agree with you Jessica "Disabilities are not limited to physical. They should not stand in the way of success, there's no handicap to success." Jessica Cox born in 1983 in Tuscon, Arizona. She born without arms due to rare birth defects which even doctors not able to diagnose this rare congenital defect. Jessica's parent William Cox and Inez Cox took her to the various doctor for why she born without arms but there was no response. So Jessica started to do things and daily chores with the help of her feet, which other people do those by their hands. Jessica's father William Cox shared 'she never dropped a tear because of her birth condition' that's her ignited spirit. Her mother Inez cox is the nurse and her father William Cox is a retired music teacher. Jessica at the age of 3, enrolled into gymnastic classess. And by the age of 6, Jessica started swimming in the backyard pool and tapping out rhythms in the dance class. Swimming and dancing without arms are not at all easy tasks but she accepted itas challenge and moved on with a determination of doing it with an exceptional condition. When the first dance performance arrived she asked to be put on the back row, but her dance teacher told her there was no back row. She performed well as other children have done. Jessica graduated from the University Of Arizona in 2005 with a bachelor's degree in psychology. If anything, Cox has achieved more than an average person. Jessica got trained under Jim Cunningham a taekwondo instructor. At the age of 14, Jessica got the first Black belt in the International Taekwondo Federation. By this, she started her name encrypted in World's Guinness Book record. Jessica credited her parents for her role models and pillar of support. During college, Jessica found an ATA Martial Arts club and started again training in sports Taekwondo. She had to relearn all the color belt materials. Her instructor Cunningham supported her and created such environment for future armless students. Jessica then became the first armless person to earn a black belt in the ATA. I know everyone eager to know how an armless woman has flown an airplane with her feet. Jessica always imagined to fly and experience her superpowers. You will not believe that Jessica had a fear to fly on a commercial plane since childhood. Years later she realized her imagination has become reality. Becoming pilot making people fly in the eyes of many that makes her extraordinary. After getting training how to fly for 3 yrs, she became capable and learned how to fly an unmodified airplane with her feets. 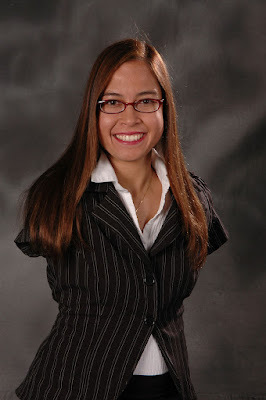 She earned the title of first ever armless pilot in 2008. 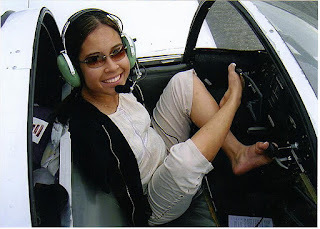 Not only this, Jessica with the help of her 1946 415C Ercoupe Airplane, received the Guinness World record for being the first women in the history to be certified to fly an airplane with only their feet. Jessica performs all activities by her feet like cooking, eating, swimming, ice skating and many more activities. Jessica got married to Patrick Chamberlain Taekwondo instructor in 2012. Jessica living her life like God haven't made any mistake while making her. The armless congenital defect is not at all defect for her but sure the power and opportunity to go beyond average. She has taken this opportunity to encourage people and clearing their concepts about disability is not a curse but strongest power to prove yourself. Jessica published her autobiographical self-help book, Disarm your limit in 2015. In today's world, Jessica works as a motivational speaker and she travels the world to motivate people by sharing her own inspirational story. Till now she shared her motivational message by traveling to 20 different countries. Jessica Cox 34-year-old lady without arms stand out an inspiration to all of us. Nothing is impossible in this world - I think this is proved by her. Never think yourself low, it's your desire low so keep your desire high and achieve your goals. Video courtesy to Nick Spark for making film documentary of Jessica's life. There is nothing impossible if you willing to do it. Inspiring story and great post, loved it!! Myself got so much inspiration from her. So thought to share with all. Amazing! You are really amazing! All the best for you! I am not, but for sure Jessica Cox is an extraordinary woman with great willpower. There's nothing impossible once you put your mind to it.its an inspiring story. True. Hope this finds everyone at least little inspiration. OMG huge inspiring. May god gives us same spirit to live and aspire other people by doing things that make us proud. Thanks Amimul. God bless you by giving you strength and courage. OMG! Did I just say I can't with I have my both arms and feet? When there's some one out there doing wonderful things with just her feet and no arms? Oh God this post is super inspiring and please Jessica, where ever you are, let God bless you for me because you reach a heart today and that's me. I am very glad that you got some inspiration from this and you found this helpful. By being so fit person we can achieve things very easily. Thank you. An inspirational piece. Thanks for sharing. Wow, all people should read it. You are very inspiring. I will share it in my G+. Yup. Thank you so much Melanie for the support. Beautiful. You give hope to all. Yes. My intention to create the inspirational blog is to give everyone motivation so that they can achieve goal and build strength in themselves. Mesemerized,inspired was felling goosebumps when I was reading this article. Thanks pramila keep igniting peoples.